Cayuse Vineyards was founded in 1997, when Cristophe Baron (originally from the Champagne region of France) came across a ploughed-up field covered with softball-sized stones and fell immediately in love with this terroir. Today the estate extends over 5 vineyards, covering around 60 hectares in total, certified for biodynamic farming since 2002. The wines of Cayuse Vineyards reflect an Old World, particularly Rhone style, paired with the distinctive New World terroir of the Walla Walla Valley AVA in Washington State. It is the signature stony terroir of these vineyards, reminiscent of the "galets roulées" of Chateauneuf-du-Pape, that is responsible for the signature minerality that makes these wines so irresistable. The estate produces remarkably complex, concentrated and elegant Syrah and Grenache wines as well as blends, rich in dark fruit flavors, along with herbs and spice. These wines are naturally rare because of a limited production, Washington State legends to try at least once in a lifetime. 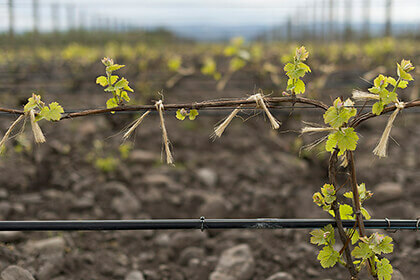 The wines of Cayuse Vineyards are terroir-driven to the core. In fact, the estate’s name itself is derived from the French word for “stones,” the same stones that awoke a love at first sight in founder Cristophe Baron when he first came upon this property in 1997, and the same stones that contribute that unmistakable mineral quality to the estate’s highly sought-after, luscious wines. These are carefully crafted, thoughtful wines, rare and concentrated due to naturally low yields, the product of biodynamic farming and an Old World Rhone Valley style applied to the remarkable New World terroir of Washington State’s Walla Walla Valley. The story of Cayuse Vineyards is the story of a Frenchman by the name of Christophe Baron, descended from a long line of “vignerons” (or winegrowers) from the village of Charly-sur-Marne in the Champagne region of France. Cristophe’s father, grandfather and ancestors before them had managed the family vineyards all the way back to 1677, with the young vigneron learning all that he could from his older relatives. After studying viticulture in both Champagne and Burgundy, Cristophe decided that he needed to travel the world before joining the family business, and he set his sights on the New World. After completing an internship at a winery in Walla Walla Valley in 1994, Cristophe decided to travel the world for one year, visiting Australia, New Zealand, Romania and Oregon during this time. Finally, he decided to settle in Oregon’s Willamette Valley AVA, buy a property and stat producing his own wines. In April of 1996, Cristophe was visiting a friend in Walla Walla, when one faithful morning, while touring the countryside near the Oregon/Washington border, he came across a ploughed-up field covered in softball-sized stones. In that moment, he know he had found his new home and directly changed his plan. Cristophe quickly purchased this property and planted his first vineyard in 1997, becoming the first Frenchman to establish a wine producing estate in Washington State. What Cristophe saw in that open field was a terroir of cobblestones similar to the “galets roulees” of the world-famous Chateauneuf-du-Pape in the southern Rhone Valley. In a place deemed by others suitable only for planting orchards, Cristophe saw a soil that would make the vines struggle and work for their nutrients, developing aromatically complex, mature, concentrated and mineral-driven fruit in the process. Giving credit where credit is due, he decided to give his estate a name that would echo this very special terroir: Cayuse, after a Native American tribe, whose name comes from the French word “cailloux” meaning “stones.” Since its founding, the property has expanded to include five vineyards, a total of 60 acres. In 2002, it became the very first certified biodynamic producer in the Walla Walla Valley AVA to fully implement biodynamic farming. 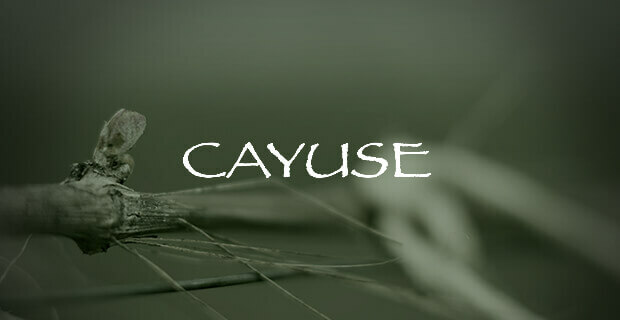 The wines of Cayuse Vineyards are meant, first and foremost, to communicate a sense of place, their terroirs of origin. All five of Cristophe’s vineyards are located within the Walla Walla Valley AVA, on the same stony soil. The first of the five plots, purchased in 1997, is the 10-acre Cailloux Vineyard, producing the estate’s flagship Syrah, along with a small production Viognier. The 4.5-acre Coccinelle Vineyard (named after the French word for “ladybug”) was first planted in 1998 and produces the lovely Bionic Frog Syrah. Also planted in 1998 was the 10-acre En Cerise Vineyard, named after the French word for “cherry,” since the land was originally used as a cherry orchard. From this vineyard hails the En Cerise Vineyard Syrah and grapes used in the estate’s blended wines. In 2000, Cristophe’s team planted the 10-acre En Chamberlin Vineyard with vines grafted on phylloxera resistant rootstock. 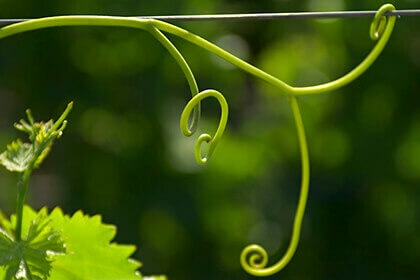 These vines produce fruit for The Widowmaker Cabernet Sauvignon, Impulsivo Tempranillo and En Chamberlin Syrah wines. One year later, in 2001, they planted the 7-acre Armada Vineyard with 1815 vines per acre, making it the highest density planting in the Walla Walla Valley until 2008. This is where the Armada Vineyard Syrah, God Only Knows Grenache and Edith Grenache Rosé wines are produced. The vines in each of the Cayuse vineyards dig down through the estate’s signature “Freewater very cobbly loam” soils, made up of cobblestones of various sizes, piled as deep as hundreds of feet in certain areas. Below the cobblestones is a layer of pure basalt 10,000 feet deep or more, a bedrock formed 15 million years ago. These stones offer very good drainage and not too many nutrients, forcing the roots to dig deeper and struggle for survival. 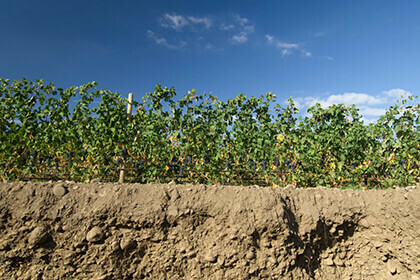 The competition caused by dense planting of the vines puts further pressure on them. 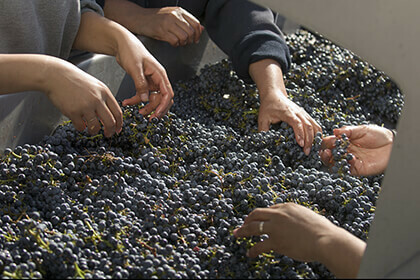 The average yield at Cayuse is quite low, around 20 hectoliters per hectare. 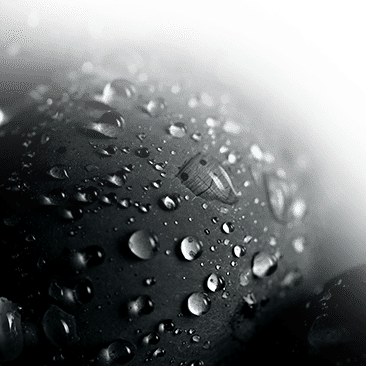 And the fruit that does develop is allowed to ripen slowly and completely by the heat trapped by the stones during the day and released during the cooler hours of the night. In fact, the soils of Cayuse Vineyards are believed to have resulted from the Missoula Floods, between 12,000 and 15,000 years ago, which created an alluvial fan of pebbles and cobbles, derived from the nearby Blue Mountains into this area. The sediments here contain high levels of iron, magnesium and calcium, making them very different than the typical Walla Walla AVA soils, which tends to have more silica, sodium and potassium. It is this special soil that Cristophe believes translates into the signature minerality in his wines, adding plenty of intrigue in each sip. And in order to do his beloved terroirs justice, Cristophe manages his property using biodynamic farming methods. In fact, Cayuse Vineyards was the very first domaine in the Walla Walla Valley to fully implement a biodynamic approach. Since its founding, the property has been managed organically, without the use of synthetic fertilizers, insecticides, fungicides and herbicides. Following in the footsteps of the great producers of Burgundy and the Rhone, Cristophe gradually converted from conventional farming to following and astronomical sowing and planting calendar. Today, Cayuse Vineyards is home to cows, sheep, pigs and chickens, along with apple and cherry trees, corn and cucumbers. He believes that such a rich biodiversity results in a healthier ecosystem overall and wines that can more accurately express the characteristics of this terroir. The wines of Cayuse Vineyards reflect the Old World style of the Rhone Valley’s top appellation, but paired with the distinctive New World terroir of the Walla Walla Valley AVA. A biodynamic viticulture and efforts to minimize yields on already very rocky, poor soils results in fruit that is highly concentrated, with a beautifully mineral core. The Armada God Only Knows cuvee is an unknown blend, dominated by Grenache, fermented with around 100% whole clusters in concrete vats and then aged in neutral puncheons and foudre, along with a concrete egg. This is a magnificent, rich and luscious wine, pouring forth generous notes of black cherry, strawberry jam, crushed violet, jasmine, orange peel and Herbes de Provence. On the palate, it boasts a full body and an elegant, fine tannic structure, along with a refreshingly saline finish. Also from the Armada Vineyard, the Armada Vineyard Syrah is a rich, tight and very structured wine with tons of umami and earthy notes, along with meaty, gamey, bloody, herby notes adding complexity to its blackcurrant, plum and lavender core. A gorgeous Old World style Syrah to age a minimum of 4-5 years in the bottle. Meanwhile, the estate’s flagship Cailloux Vineyard Syrah is opulent and generous on the palate, with a bewitching mineral salinity on the finish.